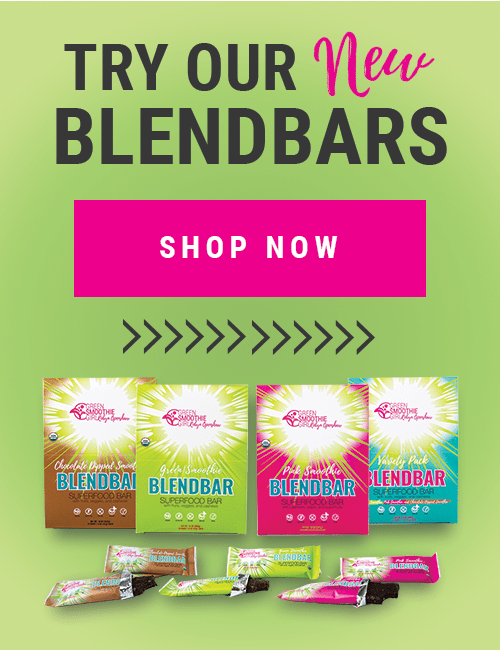 Are you looking for an easy way to cut down on the cost of your daily green smoothie? Would you like to discover some new green smoothie ingredients that would help you mix up the taste and nutritional benefits? Maybe you could even turn your morning hike into an ingredient hunt and find your smoothie greens right in nature? Foraging for green smoothie ingredients is a great way to accomplish all three of these goals – and it’s a ton of fun, too! 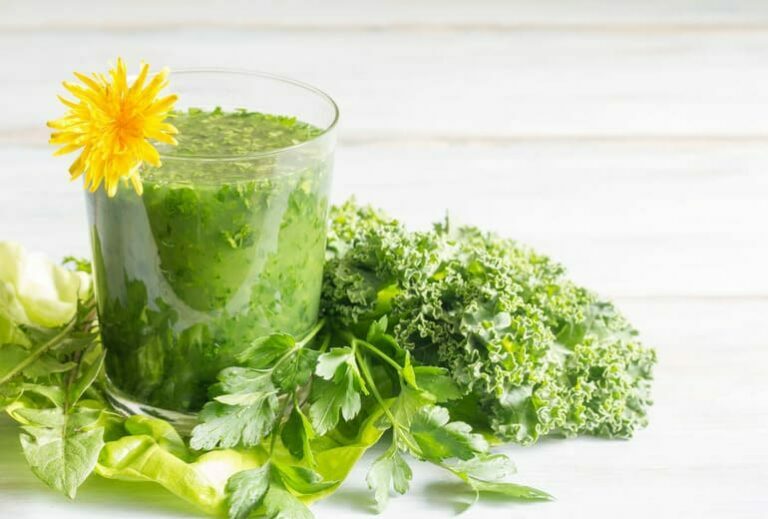 There are all kinds of edible weeds growing that you could be using to make your daily green smoothie or add variety to your salads and other dishes. These include the weeds that you can find growing in the wild–along with greens you may not think of as edible, like squash leaves or grape leaves. Many weeds are nutritious and delicious – and in most cases, they’re absolutely free. 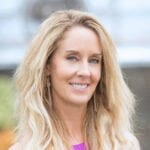 Of course, before you start foraging weeds for green smoothies – or picking any ingredient that grows in the wild that you intend to eat – you’ll want to make completely sure that the weeds are safe for consumption. Do not eat anything you haven’t identified with 100% certainty. Many plants resemble one another, and it’s easy to mistake something poisonous or toxic for another edible weed. If you’re foraging the wild, avoid areas that are home to wildlife or where pets are allowed to run freely. 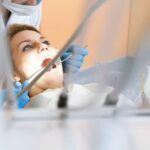 Animal waste or droppings can pollute plants or edible weeds – and that can be especially dangerous in the case of green smoothie ingredients that you plan to use raw. Remember that many public parks or community gardens – and many of your neighbors – may use fertilizer or pesticides that can make edible weeds toxic. Avoid picking natural-growing greens in areas where you suspect chemical treatments may have been used. Also avoid greens growing along heavily trafficked roadways, where they will absorb chemicals from car exhaust. To make sure your edible weeds are tender and delicious, look for them in spring – or choose small, tender growth once you get into the heat of summer. By autumn, many edible weeds will have become too tall, woody, and bitter to enjoy. Each time you find a new variety of a weed you’ve identified as edible, be sure to test it to ensure it’s safe and that you won’t have any allergic or other negative reactions to eating it. The U.S. Army’s The Illustrated Guide to Edible Wild Plants recommends using this step-by-step method for testing a new plant – after you’ve made completely sure it isn’t poisonous, of course. Take each step slowly, with at least 15 minutes between each one, to be sure you don’t have a negative reaction, this is a very low-risk method that will help you determine if the edible weeds you’ve foraged are safe and suitable for you to consume. Searching for edible weeds and greens like squash leaves or grape leaves – or even radish and carrot tops – for your green smoothies and salads is a healthy, cost-effective, and fun way to make your daily nature walk a little more productive and enjoyable. 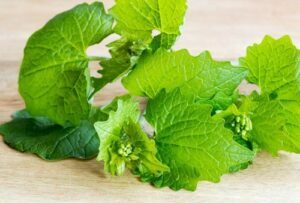 While there are dozens of wild greens that you can hunt, the following 10 edible weeds to forage grow fairly commonly across the US and are tasty, safe and healthy to eat. Just be sure to identify each weed correctly for your safety. 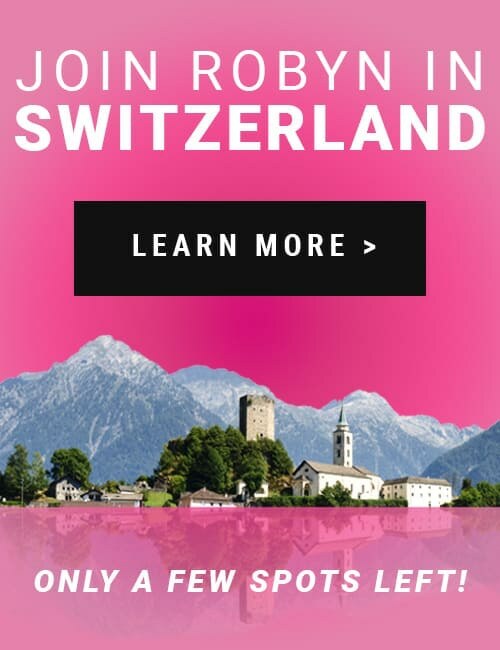 Then, get out there, get foraging, and get your green smoothie the free and natural way! Use a versatile recipe like the green smoothie recipe I almost always use, which allows for plenty of mix-and-match greens and fruit (get a free printable template here). Don’t substitute edible weeds for all the greens in your smoothie; begin with just a few leaves to make sure the flavors mesh well with your other ingredients. If your smoothie tastes too weed-y, salvage it by adding more fruit, mild greens, and/or a flavored protein powder. If you find more edible weeds in a forage session than you can use up quickly (and you probably will! 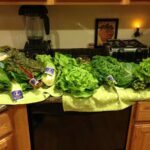 ), it’s easy to freeze leafy greens for smoothies later. Purslane is an edible weed with a mild sour flavor that goes well in salads and smoothies. One of the most abundantly reported weeds in the world, purslane is recognizable by its red stems and small green leaves and is also sometimes called duckweed, fatweed, little hogweed, pigweed, or even pusley. 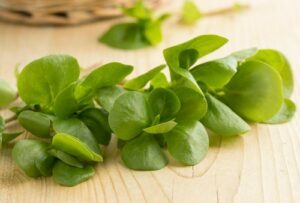 Salad lovers often compared it to spinach or watercress because it has a crunchy texture and a mildly sour lemony flavor. It’s also naturally juicy, which makes it a great substitute for spinach in recipes – and purslane can be used to replace some of the oil in pesto to create a lower-fat version. Lambsquarter is an edible weed that offers Vitamins A and C.
Like purslane, lambsquarters is known by a variety of different names – including pigweed, fat hen, goosefoot, and bacon weed. You can identify it by its often serrated (though sometimes smooth) bluish-green leaves which usually have a mealy, talcum powder-like substance on the undersides. If you forage lambsquarters while it’s still young, both the leaves and the tender, fleshy stems are edible – and delicious! Many people describe the flavor to be similar to the mineral taste of spinach or chard. 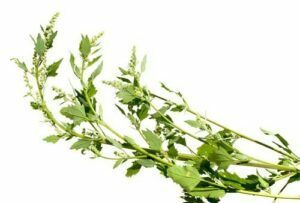 Adding lambsquarters to your daily green smoothie or salad is an easy way to up your nutritional game in a significant way. It’s loaded with iron, protein, calcium, and Vitamins B1 and B2, making it even more nutritious than cabbage or spinach.3 It’s also a great source of phosphorus, Vitamins C and A, and potassium.4 Because lambsquarters is another weed high in oxalic acid – like wood sorrel and dock – anyone with kidney disease, gout, or arthritis should eat this foraged weed in moderation. 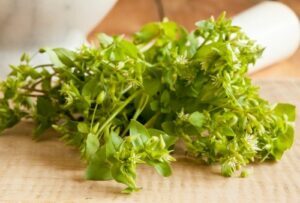 Chickweed is a mild addition to your green smoothie. Chickweed is a delicate plant that tends to grow quickly and sprawls out in mats, so it’s sometimes used as ground cover. The leaves, stems, flowers, and seeds are all edible, and the mild and freshly “green” flavor is sometimes compared to corn silk. It’s best when used raw, which makes it the perfect edible weed to add your green smoothie or salad. Adding chickweed to a smoothie is a great way to get a boost of Vitamin C,5 which can help to support your immune system and may reduce inflammation. Additionally, studies have found that chickweed may have anti-obesity effects,6 helping to prevent increases in body weight and increases in the amounts of fat tissue you have. The white or pink flowers of clover are a beautiful addition to salads. 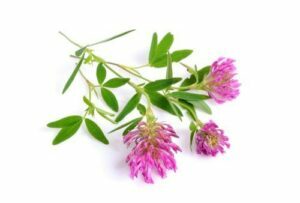 Clover is part of the legume family and has over 300 species – including the well-known Shamrock and Four-Leaf clovers. It tends to grow in mats that are low to the ground, and many types of clover have rounded leaves, often with three leaflets. Every part of the clover is edible, but the blossoms are generally the only part that’s considered to be delicious (bonus: they’re beautiful on a salad). Since clover isn’t the most delicious edible weed, you might wonder why you’d even bother adding it to your green smoothie –and the answer is that clover is a nutritional powerhouse. 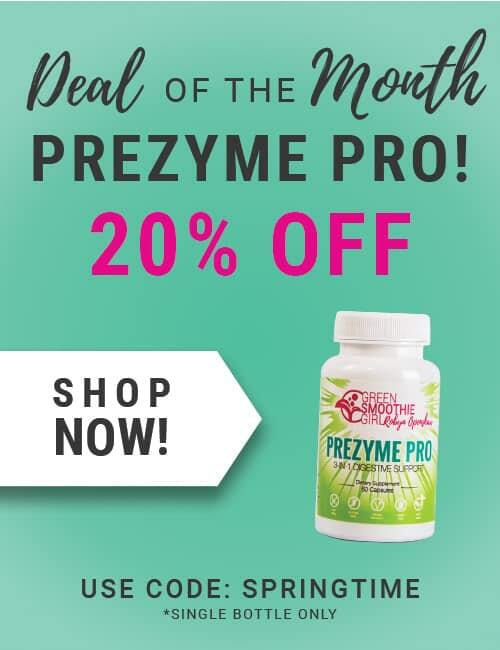 Not only is it a good source of calcium and magnesium, but clover has more than 500% of the recommended daily allowance of selenium7 – an antioxidant that can protect against chronic diseases by reducing oxidative stress. To reap these benefits, just add clover leaves to your green smoothie with stronger-flavored greens that will mask any unpleasant taste. Dandelions may be an unwelcome guest in your lawn, but consider the nutritional benefits! Known for their vibrant yellow blooms and their big, white “puffballs” that break into hundreds of dancing particles at a simple blow, dandelions are actually as nutritious as they are entertaining, and although every part of the dandelion is edible, people tend to enjoy the greens or the roots the most. Slightly bitter and sometimes described as “sharp,” or similar to arugula, dandelion greens can be consumed raw, or the roots can be cooked before you add them to your green smoothie. Younger leaves of the dock plant are likely to have a better taste. Also known as curly dock, yellow dock is a tall-growing plant with thick stalks, narrow leaves, and green flowers. The roots, seeds, stems, and leaves can all be eaten – but the leaves should be picked before they grow flower spikes. Because yellow dock is known for having a sour taste, selecting younger leaves that haven’t yet become tough is also recommended. 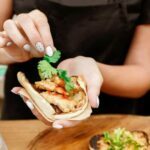 Dock is great source of calcium, Vitamain A, and flavonols10 – naturally-occurring plant pigments that can help to prevent diseases like cancer and asthma, as well as heart disease and stroke. Mallow is a helpful natural remedy as well as a smoothie ingredient. Mallow, also known as common mallow or dwarf mallow, is a plant with fuzzy, rounded leaves that are gray-green in color. It’s commonly used as an herbal remedy, but both the flowers and leaves – which have a mild flavor that’s sometimes described as nutty – can be added as a smoothie ingredient. If you use mallow in a green smoothie, you may prefer to use the leaves raw, to avoid that gooey texture, and you’ll probably want to add extra water. Sorrel can be found growing wild and gives a burst of Vitamin C.
Wood sorrel is another low-growing edible weed that’s common enough to find that you can add to your green smoothie on a fairly regular basis. It’s easily recognizable with heart-shaped leaflets that look like clover and vibrant yellow flowers, all of which are edible, and its mildly sour taste is described as refreshing or lemony when it’s added to salads or juices. Sow thistle looks a lot like dandelion, but notice the unique shape of the flowers! 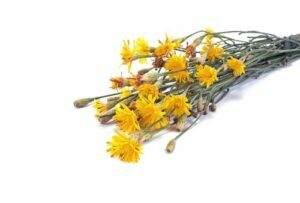 Often confused with dandelions (and part of the same family), sow thistle is an edible weed that looks like the image that probably springs to mind when you hear the words “garden weed.” The long, spiky leaves, the yellow flowers, and roots are all edible. 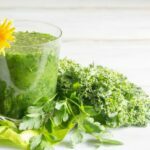 But because the flavor becomes bitter as the plant gets older, I recommend you eat sow thistle while it’s young – or mix a small amount with other more mild tasting greens in your green smoothie. The leaves, roots, and seeds of cress are all useful in green smoothies. 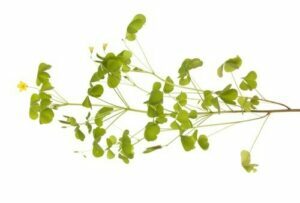 Cress – also known as garden cress – is a fast-growing edible weed that has a tangy or peppery flavor similar to watercress and mustard, which are both relatives of the plant. 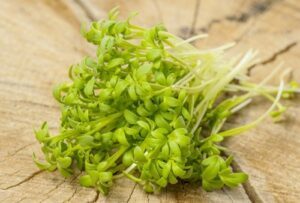 It has an appearance that resembles alfalfa sprouts, with longer stems and tiny leaves, and you can use the leaves, roots, or seeds in your green smoothie or salad. The seeds of garden cress also are often used to make oil. Nettles should be handled carefully when added to your smoothies. While instinct might tell you to stay far away from stinging nettles, they’re actually an exceptionally nutritious ingredient to add to your daily green smoothie – as long as you handle them carefully! Stinging nettle leaves get their sting from hundreds of tiny needles that deliver a compound mixture that feels like a burn to the skin. These stinging compounds are neutralized once the leaves are cooked, dried or thoroughly ground (like in a blender or food processor). Grab gloves and scissors to clip the spade-shaped leaves before they flower, and carefully put them into the blender and pulverize them to eliminate the sting. 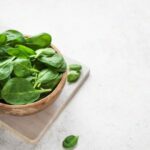 Your reward will be a distinctive taste that’s often compared to spinach–along with incredible health benefits. Packed with carotene, lutein, and Vitamin A,21 stinging nettles are another edible weed that can help to keep your eyes healthy. 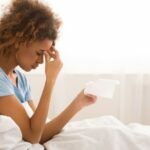 Plus, research has found that stinging nettles can effectively treat joint pain and inflammatory conditions like arthritis,22 and it also can reduce inflammation caused by allergic rhinitis23 –which you probably know better as a stuffy nose, sneezing, and post-nasal drip. Garlic mustard adds a spicy tang to green smoothies. 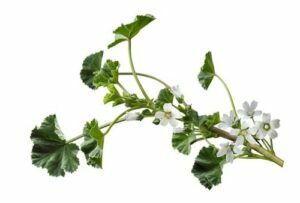 Garlic mustard is an invasive plant that environmentalists are currently working to contain, but if you can’t beat it, eat it! 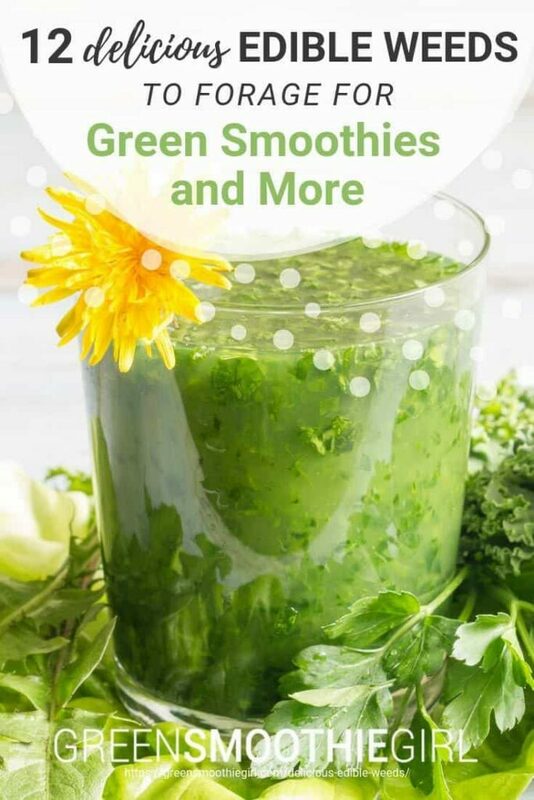 Noted for its heart-shaped leaves and white flowers with four petals that form the shape of the cross, every part of garlic mustard can be added to your green smoothie right down to the roots. It has a spicy taste that’s compared to horseradish, and the leaves get bitterer as the weather gets warmer. 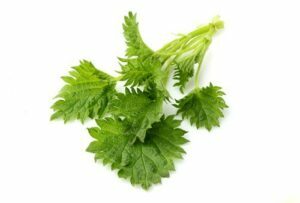 While these 12 delicious weeds can be easily foraged in most places, there are plenty of other options for edible weeds as ingredients in your daily green smoothies and salads. 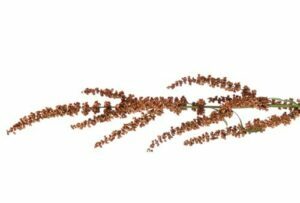 Check online to see which weeds commonly grow in your area, and be sure to look through a book like The U.S. Army’s The Illustrated Guide to Edible Wild Plants to make sure your local wild weeds are safe to eat. Then, go forth and forage for healthy, free, and delicious weeds for your daily green smoothie! Chidrawar VR, Patel KN, Sheth NR, Shiromwar SS, Trivedi P. Antiobesity effect of Stellaria media against drug induced obesity in Swiss albino mice. Ayu. 2011;32(4):576-84. Wirngo FE, Lambert MN, Jeppesen PB. 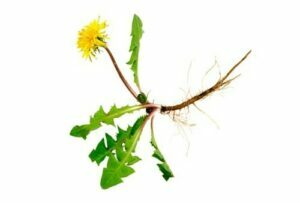 The Physiological Effects of Dandelion (Taraxacum Officinale) in Type 2 Diabetes. Rev Diabet Stud. 2016;13(2-3):113-131. Johnson, EJ “The role of carotenoids in human health” Nutr Clin Care. 2002 Mar-Apr;5(2):56-65.